This radish and goat cheese napoleon recipe was inspired by an elegant beet appetizer I had several years ago at Spago, Wolfgang Puck's restaurant. 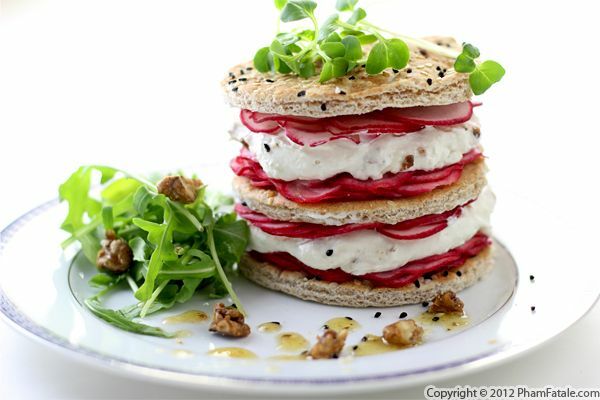 Colorful layers of sliced, pickled Cherry Belle radishes, candied walnuts, goat cheese spread and rounds of whole grain noor thin bread give the dish its visual appeal. The pungency from the radishes offsets the velvety smoothness from the goat cheese. Sprinkled with candied walnuts, arugula and a few sprouted radish shoots as garnish, a larger portion of this light salad could be served as a one-dish meal. I finished the salad with a flavor-matching vinaigrette, a scrumptious sesame and candied walnut salad dressing. 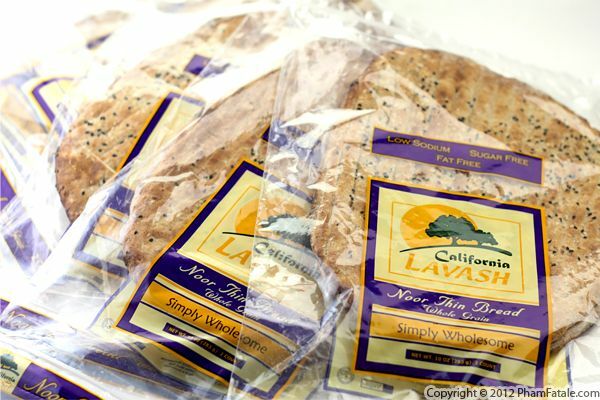 The bread used in this dish is a new product from my friends over at California Lavash. It’s made with whole grains and is studded with black and white sesame seeds. It’s a great choice if you want to make a healthy dish, but I obviously didn’t do that today! I’ll be posting a couple more recipes using the bread later this week, and if you’d like to try them out, you can enter this week’s giveaway. Good luck! It's watermelon season again, which means that it's supposed to be really wam here in Northern California, but alas, we're experiencing another cold spell. For those of you enjoying balmier temperatures, I present my incredibly refreshing watermelon iced tea drink. I flavored the drink with fresh mint and agave nectar; you could omit the syrup depending on the sweetness of the watermelon. In addition to being delicious, this refreshing drink has multiple health benefits thanks to the green tea. It really is the perfect summer drink! 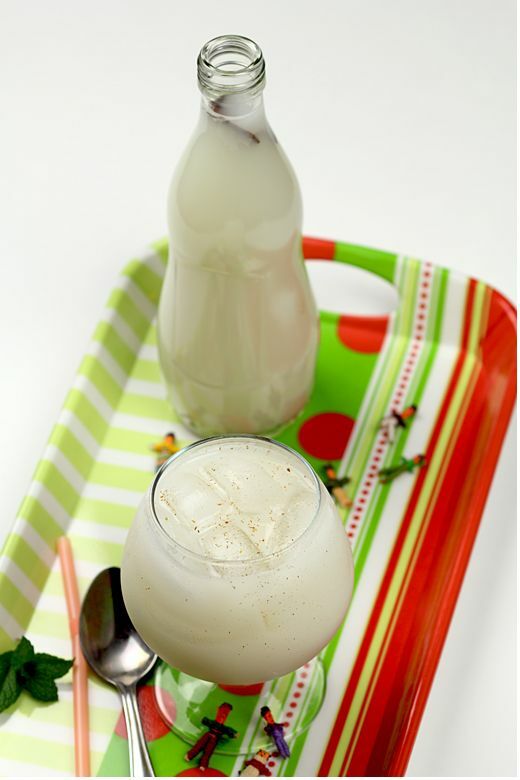 I actually first discovered horchata during a 1993 summer family vacation in Valencia, Spain. We loved the drink so much, we drank liters and liters of the delicious, cool, sweet horchata. That particular variety was made with tiger nuts, but there are many variations that are made with nuts and grains such as rice, blanched ground almonds, sesame seeds or barley. It all depends on which region the beverage comes from. I’ve had the rice-based version several times at Mexican restaurants recently, and I’ve been itching to learn how to make it at home. The recipe requires patience but is worth the wait. I’m definitely going to be bringing a big jug of this to the next family picnic! I think if he could, my husband would drink pumpkin pie. He already inhales it every Thanksgiving! So this pumpkin protein drink is about as close as it gets to making his dreams come true. It's an ultra easy breakfast to make when you're on the go, and it’ll get you in the mood for the soon-to-be holiday season. 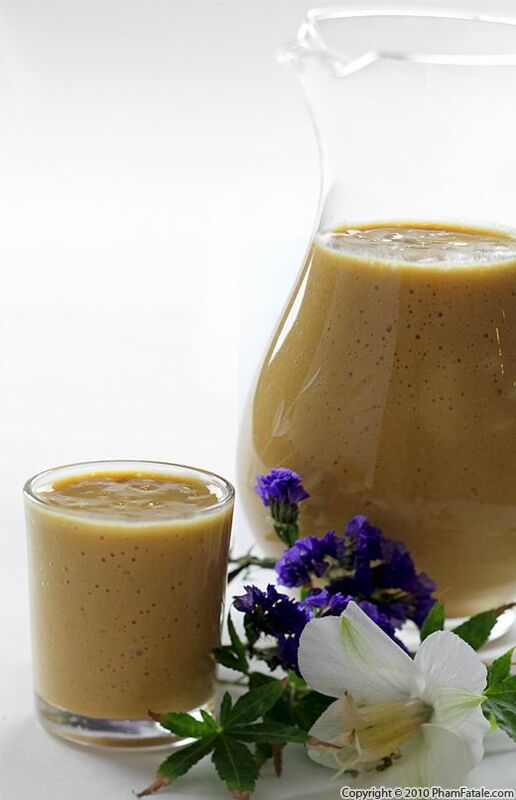 The drink is packed with vitamins, protein (I added soy protein) and calcium, making it markedly healthier than the real deal, and perfect for vegetarians like my husband Lulu. 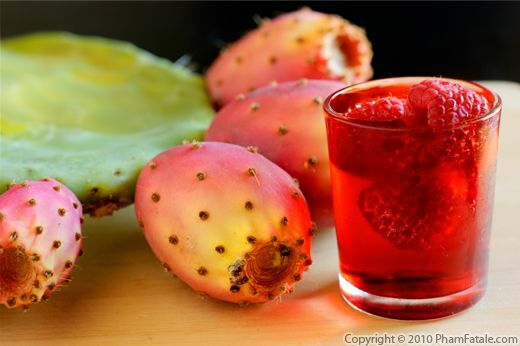 Prickly pears are the fruit of the nopales cactus plant. They're named for their pear-like shape and size. 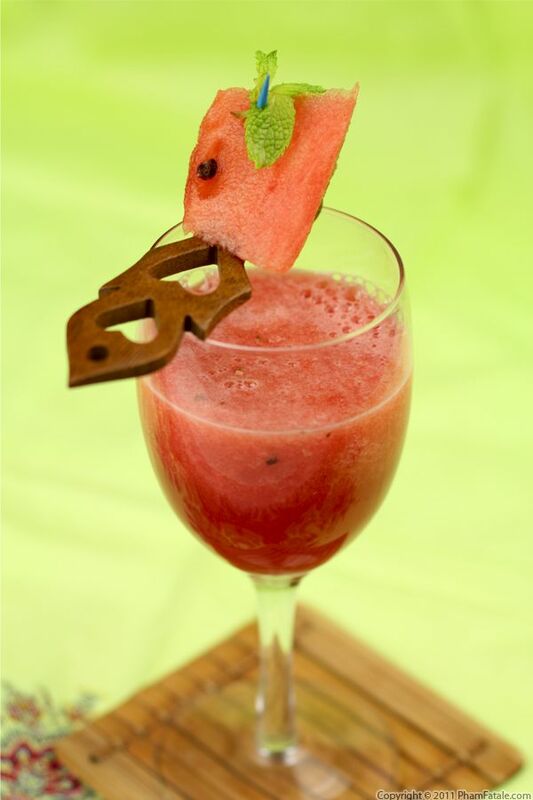 The texture and aroma of the fruit is very similar to grainy watermelon, with a mild sweetness. The seeds from the prickly pears look the same as the ones from kiwis. This weekend, my father-in-law (I call him Daddy), my husband Lulu and I were sitting on the swing in the garden. Daddy noticed the fruit on the cactus plants in the corner of our garden. When we got closer we realized that the prickly pears were fully ripe. Daddy got so excited that I didn't have time to run and get leather gardening gloves; he just picked the fruit with his bare hands. Poor Daddy! I had to spend quite a bit of time to remove all of the almost invisible hair-thin spines. We were able to gather a fair amount of ripe fruit. Even though the fruit is quite bland, the flesh has a very rich color. I used some for making vinaigrette and with the rest I made little cocktails with raspberries. I placed fresh raspberries in the freezer and used them as ice cubes to chill the drink. 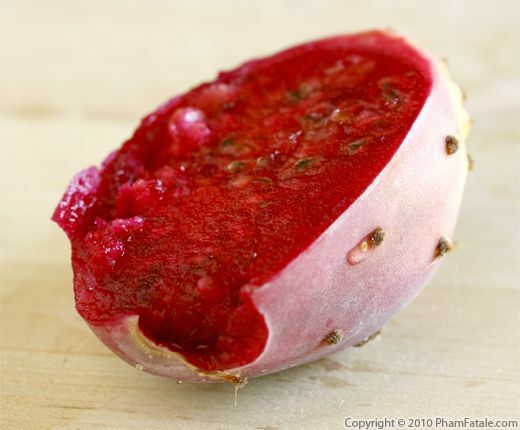 If you can get your hands on some prickly pears at your local market, give them a try. They're a wonderful treat.